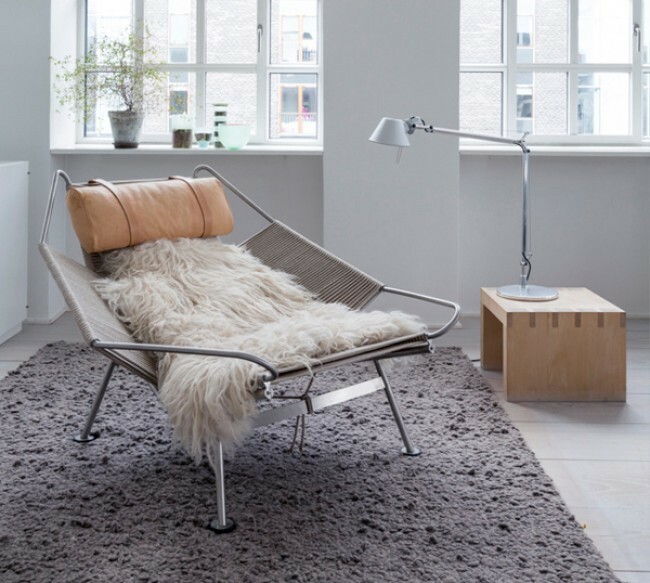 The chair’s surfaces are made of plaited flag halyard with the longhaired sheepskin softening the industrial sharpness of the steel, adding comfort. The product are licensed and manufactured in Denmark. 1 min 3D animation about the Egg chair by Arne Jacobsen.